Losing 150 pounds is no easy feat. We’re profiling Joe, not just because he had success while using a Withings scale on his health journey, but because he now feels “helping just one person” with his story would mean the world to him. Read on to see his before and after pic and then learn how Swam reclaimed his body, his confidence, and gave the gift of health to the most important thing to him — his family. Self-described ‘regular Joe,’ family man, and Shoprite grocery-chain employee Joe Swam, 41, wasn’t always overweight. Formerly fit, he played basketball, beach volleyball, and was even a personal trainer in his 20s. But after a work-related back injury left him chronic pain, and the birth of his son delivered sleep deprivation, he began self-medicating with two pints of ice cream in a sitting, leading him to a peak weight of nearly 350 pounds. After losing 50 pounds by “moving more and eating less,” but not truly changing his mindset around eating, Swam backslid and hit a plateau when grieving the loss of his sister. 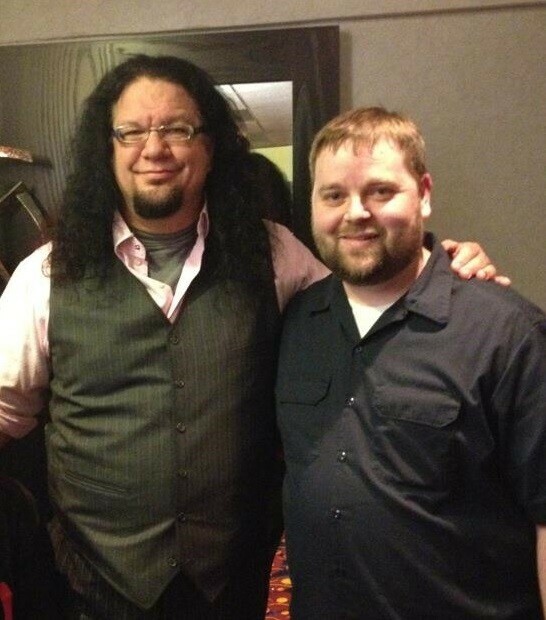 But after hearing his idol, Penn Jillette, speak about his own weight loss, Joe reached out and got the inspiration and tools he needed to lose the last 100 pounds, lower his blood pressure and permanently change his relationship with food in the process. Withings: We appreciate your willingness to share your story with us, Joe. To get us started, can you tell us how you met Penn, and how he influenced your health? Joe Swam: I guess you could say I started stalking him. Outside of my parents, Penn Jillette is my biggest hero. Years ago, Penn and (fellow Vegas performer and weight-loss buddy) Michael Goudeau hosted a show called, “Penn Radio.” I listened every day. I had been aware of Penn & Teller since the mid to late 1980s, but after listening, I found their Showtime show. I began tweeting at him every day. I signed up for Twitter just so I could follow him. I had an alert set on my phone to let me know the exact time a new Penn video would be released on YouTube. I would tweet the link and tag Penn. He began retweeting all of those tweets. Eventually we met at a book signing in Washington D.C. He reached out to me right before his first appearance on Celebrity Apprentice and asked if I would send tweets on his behalf while he was on the show. As a thank you, he gave my family tickets to see him perform in Atlantic City. We hung out a bit afterwards. I then saw him the following year at The Amazing Meeting (a conference centered around science, skepticism, and critical thinking), in Las Vegas. We hung out a bit and our circle of mutual friends kept growing. I’ve since been to movie night at his home and he’s paid for quite a few meals I’ve eaten. He’s been exceptionally kind to me. I wasn’t exaggerating when I said “biggest hero.” And now he’s a friend. Shelley (Swam’s wife, 38), Jeffery (Swam’s son, 15), and making another person laugh. Nothing fills me with more joy. They count on me for financial as well as emotional support. We’re a family. They mean everything to me. I was racing towards a heart attack or other health emergency that would really throw our family into a bind. Ray and Penn changed my life by giving it back to me. And by giving me back to Shelley and Jeffery. There are no guarantees, of course, but the changes Ray and Penn helped me make have made it more likely I’ll be around for the people that mean the most to me. Many people have a “wake-up” call before a lifestyle change like a major weight loss. What was yours? When I returned from Las Vegas in the summer of 2014, I saw some pictures of myself on Facebook. It’s one thing to look at yourself in the mirror every day, but to see pictures of you standing next to other people is different. I just kept thinking, “Wow! I’m not that much bigger than him… am I?” That prompted me to sit down at the blood pressure measuring machine we have at several of our grocery stores. The machine read 190 over 148 and said “high” in red letters. I understood what “high” meant, but didn’t really understand the numbers. So, I asked the pharmacist what 190 over 148 meant. She told me it meant I should go to the emergency room. I nervously laughed that off, but I did decide right then I needed to try to get healthier. I begged my doctor not to prescribe any medications for my blood pressure. I wanted to take one real shot at controlling it by making lifestyle changes. He agreed to that, but I don’t think he had a lot of confidence in me. Now my blood pressure is consistently between 110/70 and 120/80. No meds. My weight loss has played the biggest part in that improvement. What part did Penn play in your weight loss? For a few months, from August 2014 to February 2015, I had been trying to lose weight the “traditional way” by eating less and moving more. I had some decent success, but then my sister died and I started backsliding, reverting to old habits to deal with the grief. Penn had talked a bit about his weight loss on his podcast and I reached out to him on Facebook to congratulate him. He congratulated me as well. I explained to him that I had plateaued and he gave up all of Ray Cronise’s secrets, right after he typed, “I’m not supposed to talk about it.” Since then, he’s sent supportive comments to me. What’s it like being in your new body? Has your identity changed? It never occurred to me how miserable I was when I weighed 344 pounds. I just thought that was part of getting older. 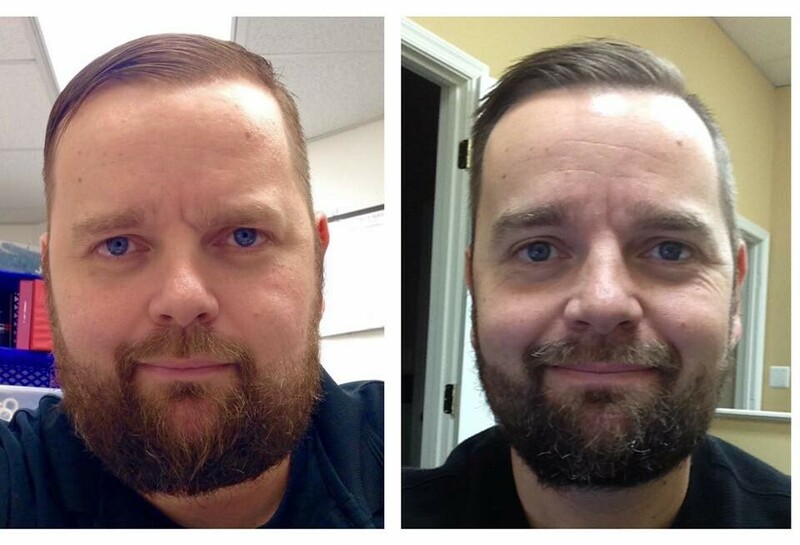 You age, you gain weight, and you shut up and go to work. My father did that. Then he had a heart attack and had to make some changes. His heart attack even changed me for a short time, but a month or two later I was right back to my bad habits. I went to a local school this past summer to run around their track. For some reason, I decided to take off my shoes and socks and sprint barefoot across their football field. I did it several times. I felt like a kid again. A feeling I thought I would never experience again. I also have much more confidence now. I don’t try to hide in social situations as often. I’m still awkward, but less so now. You used a Withings scale. Do you think the gadgets are really necessary? Didn’t you have a scale before? I did have a scale before, but I like the way the Withings scale and the Activite Pop watch interact with the Health Mate app. I like seeing all of the numbers in one place and adjusting my day accordingly. I don’t have to enter my weight into an app, it just shows up there. I don’t get to hide when I’ve eaten something “off script” and my weight has bounced up a tick. I have to own that. If I check the app at 2 p.m. and notice I’m at 3,000 steps, it’s a nice reminder that maybe I should get up and move around more. I’ve become a big fan of routines. I start every day by getting on my Withings scale. What’s the most important thing you took away from Ray Cronise’s teaching and guidance? You have to fix your relationship with food. The standard American diet wasn’t working for me and I needed to make a big change to get myself healthy. With whom do you share your stats/dashboard for Withings Health Mate, if anyone? I share my dashboard with Ray and with my wife. I also post regular updates on my various social media feeds. It’s a form of accountability. I like, and need that. What did Penn teach you about weight loss? Again, you have to fix your relationship with food. He also introduced me to the idea of dumping a lot of cayenne pepper and cocoa powder onto a lot of blueberries. That rolls through my head all the time. Just like there’s no ‘I’ in ‘team,’ there’s no ‘food’ in ‘entertainment.’ Developing a healthy relationship with food was the key for me. That doesn’t mean you should never eat for the sake of entertainment, but it shouldn’t be the main reason you eat. I don’t think weight loss can be sustainable until a person modifies their relationship with food. Do you ever eat meat, fat, processed carbs, or other “forbidden” foods? Is anything forbidden? Nothing is forbidden, but I limit meat or “junk food” to what we call “Rare and Appropriate.” Basically, once every couple weeks I’ll eat a meal of whatever I want. I’m finding that I have less and less of a desire to do that now. The only thing that still trips me up occasionally is cashew butter. I would’ve sworn it would be bacon. Nope. Cashew butter is my biggest weakness. I allow myself a single spoon every couple of days. What would you tell someone who cannot imagine feeling satisfied and content knowing he/she could never eat favorite foods again and stay thin? You’ll still be able to eat those foods. Just not right now and when you can have them again, it won’t be as often. But I promise you those foods don’t taste as good as being thin feels. I saw on Twitter that your wife Shelley lost 60 pounds. Did you inspire her? How has this way of life impacted your son? She used a lot of the same methods that we learned from Ray. She’s also done a little of her own thing. We don’t impose our dietary choices on our son. We do try to introduce nutritional foods into his diet as often as we can. He is fifteen, though. Pizza and Doritos seem to find their way in no matter what you do. He’s interested in what we eat and has participated in some of the preparation. Much like with religion, though, I try to share with him what I’m doing or thinking, and then step aside so he can find his own way. Do you feel like you lost anything by losing the fat? I think the only thing I’ve lost is fat and high blood pressure. Weight loss was just the beginning. Now, I’m participating in 5K races and meditating. I’m more productive at work and more engaged with my family when we’re together. I don’t doubt for a second that some people have struggled recalibrating their self-image. I haven’t experienced any of that, though. I forgot that I could accomplish things. Now, I’m always thinking, “What else can I do?” It’s been nothing but positive. What would you tell someone who is terrified to start because he/she might fail, as with countless other diets? Almost all human progress was proceeded by a lot of failed attempts. It’s how we learn. We would do better to be less afraid of failing. I say that as someone who is still too afraid to perform comedy at an open mic night. Maybe I should listen to myself a little more. Why is your story a good one? Why are you a good role model/inspiration? I think my story is potentially compelling because I’m just a guy. I’m not a famous magician, or a comedian, or a marine biologist smart guy. I’m just a regular Joe who punches a time clock like a lot of people. Occasionally, someone will write to Penn on Twitter saying basically, “Well, sure. You’re a rich guy. You can afford to eat like that. You can spend a lot of time exercising.” I’m the response to that criticism. I don’t know if it qualifies as great, but a co-worker once said he couldn’t eat the way I do because it was more expensive. I told him that, aside from not being true, I have a little extra money for fruits and vegetables now that I don’t have to pay extra for size 3X shirts. I’m wearing size Large t-shirts now in case there’s any Withings swag lying around. Joking!